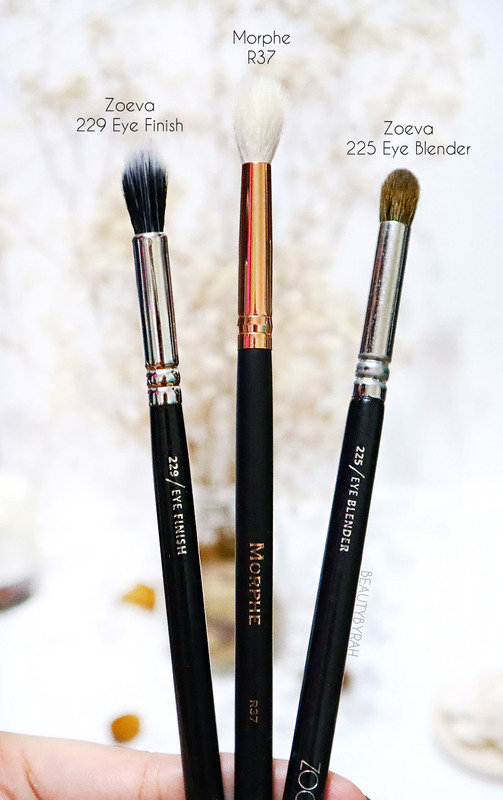 Recently I've posted my 4 must-have essential eye makeup brushes to help you out if you're lost and confused when it comes to eyeshadow and the tools required. 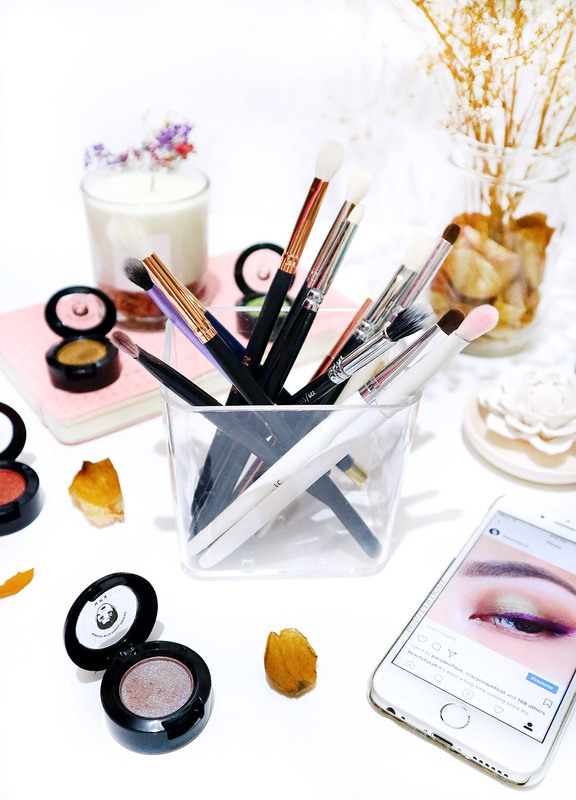 Like I mentioned in that post, brushes are not entirely necessary now as there are increasingly more eyeshadow sticks and cream eyeshadows that are popping out in the market and the only tool you really do need to help blend it is your trusty little finger. But, if you wanna go more than an all over lid shade and move towards adding depth and crease shades, some brushes will help you out. I do not think that it is necessary for you to pay exorbitant amounts for brushes as there are truly great quality ones that are affordable. When I first started playing around with makeup, Sigma was the most popular brand and yes, it was pricey to me as I was young, wild and broke back then. Now, there are so many new brands that I can't even keep track of! If you want to splurge on a brush, I'd recommend you to do so for a blending brush, tapered or fluffy, but that's where I feel quality does count. Trust me, you do not want something scratching your eyelid everything you try to blend out harsh lines. Yes, that is a shameless self promotion of my Instagram in the image above. Oops. I do love that eye makeup look though! Here are some of my favourites eye brushes as promised in the previous post. Warning, you're gonna see me constantly saying these brushes are soft or fluffy or both (because they are!). 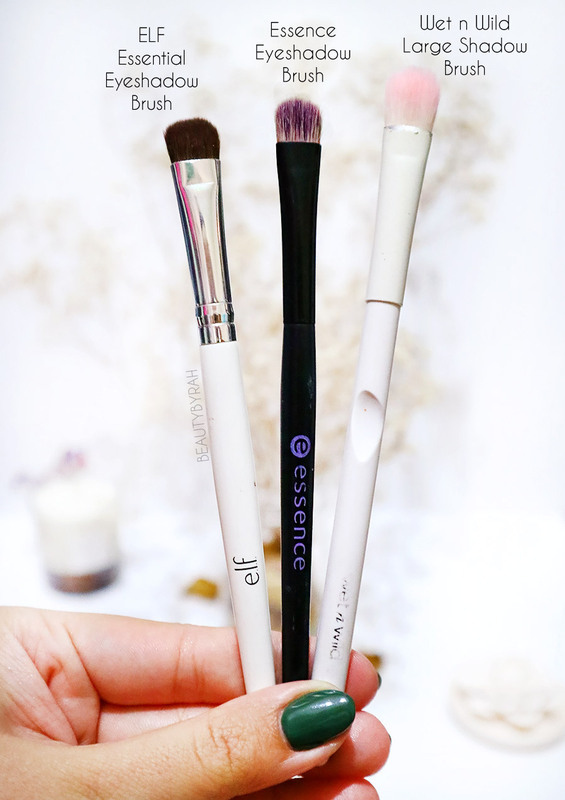 Elf Essentials Eyeshadow Brush - an all rounder shader brush that is super affordable. Nothing beats this when it comes to affordability and this works great to pack on a lid shade on the mobile eyelid. This works very similarly to their sister, ELF Studio 'C' Eyeshadow Brush (SGD 4.11 on iHerb) in my opinion. Both are lovely. Wet N Wild Large Eyeshadow Brush - great for setting the eyelid primer with translucent powder or a bone matte shade. It is pretty wide so it is good to apply a specific product to a larger surface area on the lid. Essence Eyeshadow Brush - I got mine years back (it's so old and Essence has already revamped the design) and this works perfectly fine too. This brush is less dense than the ELF ones, so it is applies less of a deposition of the colour. Great if you want a light application of a shade all over the mobile lid. Zoeva 227 Luxe Soft Definer - shaped like the infamous MAC 217 but not a tad bit scratchy. This is super soft and fluffy. I like the density and length of the bristles as it fits nicely onto my crease area and blends like a dream. The price has definitely increased from when I bought mine, but still relatively affordable at SGD 18 on Sephora. Real Techniques Base Shadow Brush - this is from their Eyes Starter Set so it can't be purchased individually. Regardless, the set is useful and it's top notch quality for the price. As this is made from synthetic Taklon bristles, I do like it more if I use a cream base and I wanted to blend the edges out. Of course, regular powder shadows work nicely too. I got mine off iHerb years ago but on the site, it says it's discontinued! But I still do see it in our local drugstores. Morphe R43 - This is extremely similar to the well known Morphe M433 which I also love, but this has a rose gold ferrule and I do like the aesthetic more. Besides that, I love this brush as it is soft and it does not shed on me. I got mine for SGD 12.70 on BeautyBay. 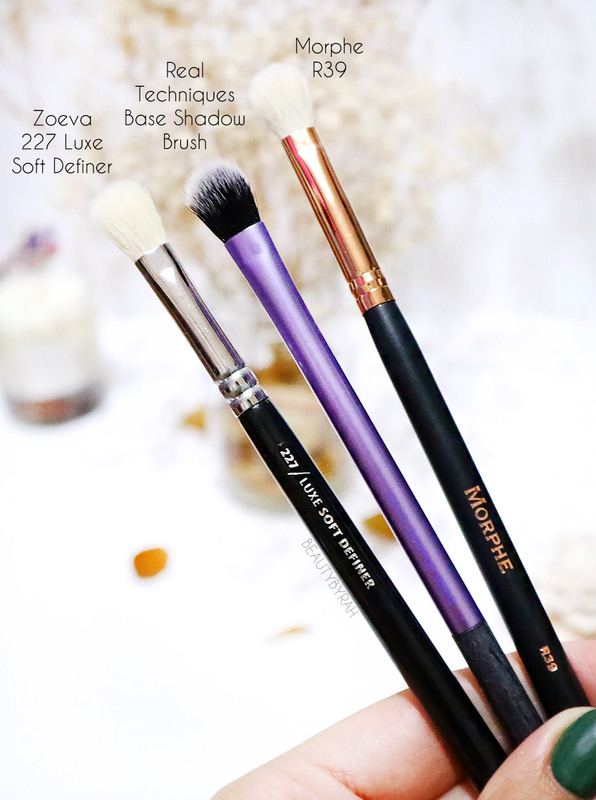 Zoeva 229 Eye Finish - this is a duo-fibred blending brush that I feel works great with darker shades. I like to use this to apply a deeper shade into the outer V area and consequently blending it out and brining the shade slightly into the crease. Works great and as it is duo-fibred, it helps to deposit lesser product as compared to full natural or synthetic ones. This goes for SGD 15 on Sephora. Morphe R37 - the sister to the morphe R43 mentioned above. This is an extremely fluffy brush that covers a large surface area on the lid but it really helps to remove harsh lines easily. It makes all the shades applied mesh into one cohesive gradient and I love to use this as a final step to blend everything out. I got this for SGD 12.70 at BeautyBay. Zoeva 225 Eye Blender - this is a great blending brush if you do not have alot of eyelid space to work with. The bristles are shorter and less blown out, so you have more control over the areas you're blending. This is SGD 15 on Sephora. Elf Essentials Eye Crease Brush - despite its name, the little brush works so well in depositing a darker shade into the Outer V and lower lash line. I love how much control I get with this brush as it is so small, and works great if you do not have a lot of eyelid space to work with. USD 1, can't beat that price! Makeup Revolution Ultra Pointed Crease Eyeshadow Brush - yes, I love the rose design but that's not just it. This synthetic bristled brush works so well when working with cream shadows (like those Colourpop Super Shock Shadows). This is decently priced too, at SGD 10.70 on Tam Beauty. Jessup Pencil Brush - I debated on whether I should add this in as I am not too sure of its name and as it's part of a larger set but since I use this almost daily, I figured why not. Besides, the set is extremely affordable at around SGD 35 (I got mine from the Jessup website itself, but now Lazada carries them!). This pencil brush is also made from synthetic fibres and has a tapered end to it, giving me more control over deposition of colour. 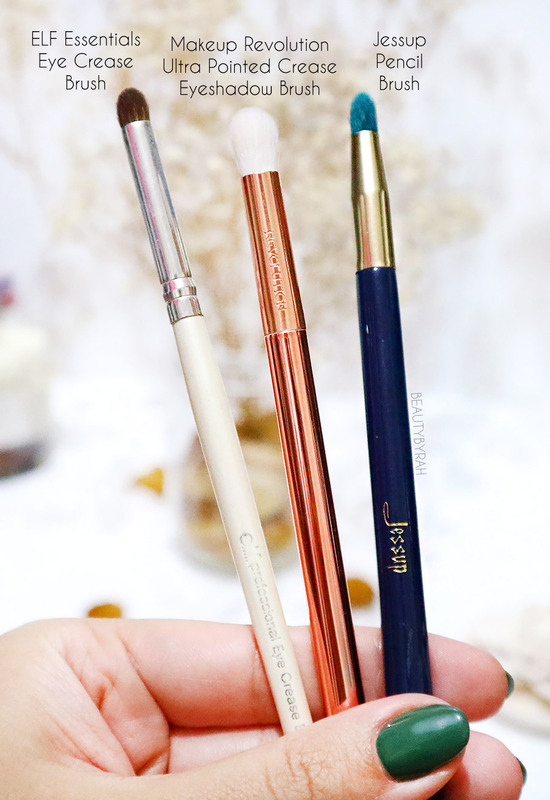 These are definitely affordable options and despite the not-so-hefty price tag, these brushes are definitely tried and tested as I've had these for a minimum of 3 years (with the exception of WNW one which is about 1.5 years old). These do perform and would really make a difference in how your eyeshadow look turns out in the end. One from each category should be sufficient for you to get started. Hopefully these recommendations are helpful! 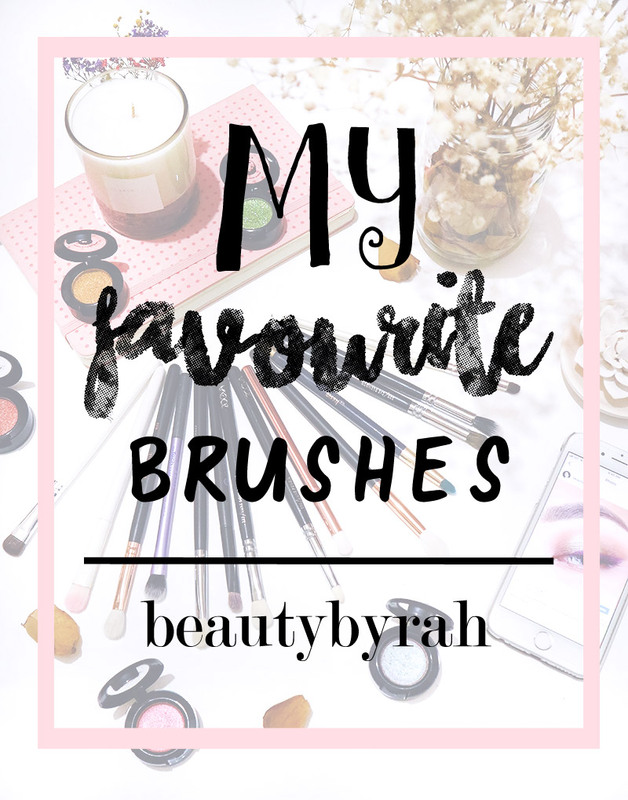 Will you pick any of these brushes up? 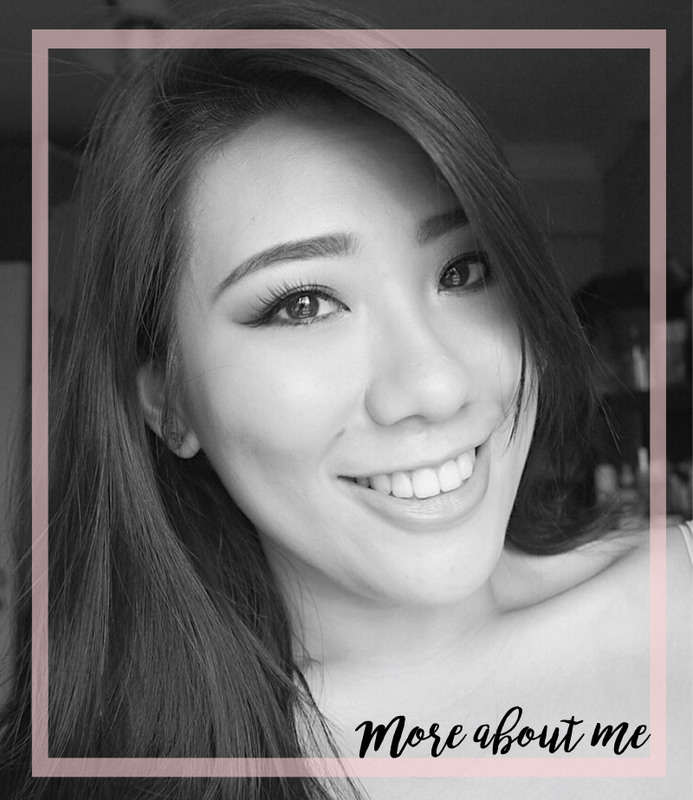 What other kind of makeup posts would you like to see?